Los Angeles is a big city which presents some unique problems for businesses. For example, how can one attract attention, establish trust and at the same time,remain unique? Custom signs from Dave’s Signs may be the answer to this problem. So how do you choose the best sign for your business? It may be much easier than you think. Maybe you are not sure which kind of sign design or construction you want. Professionals from Dave’s Signs can show you many sign types. Let’s look at just a few examples you can choose from. Perhaps your budget is currently limited but you want something distinctive and attractive. 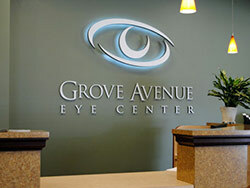 We can give you a modern, conventional or custom sign in Los Angeles that’s completely original in concept and design. During the concept phase we will review with you the best sign options for your application. Everything will be designed to your liking prior to fabrication. A channel letter sign is a great way to make your signage come alive in three dimensions with impressive illumination, all for an affordable cost. Plus, you have several choices for lighting and each one features a different visual effect. Dave’s Signs provides completely original custom graphics in many different forms. Maybe you want special indoor images or a sign that looks like a mural painted on the side of your building. In fact, we can design custom paint jobs for an entire fleet of vehicles if you like. The possibilities are virtually limitless. When it comes to unique and original neon signs, you can depend on Dave’s Signs to deliver anything you want. We make all our neon signs right here in our shop and we employ some of the most skilled craftsman in the business. There is no need to have standard and boring office signs inside your business location. Our office signs are customized to your specifications including the size and lettering. Even a simple directional sign doesn’t have to be too simple and can still present an air of “professionalism” which is impressive to clients and staff. With so many choices how do you make the right decision? There is no need to worry because you have professional help throughout the entire process. You can rest assured your custom signs in Los Angeles will fulfill the needs of your business and whenever you need service, Dave’s Signs will be there for you. Are you interested in a custom sign for your business in Los Angeles? Call us at (805) 641-1387 with your sign questions or click here to request a free quote.